AIS Technology AIS Technology Limited (formerly known as Advanced Industrial Systems Limited) was established in 1991 to design and deliver expertly engineered solutions, purposely built around the customer’s specific requirements. Over the years, AIS Technology has grown into a leading player in the Maltese engineering industry as a result of its technical expertise and skill, gleaned from years of experience in the field. By investing resources into building a highly specialised and skilled workforce, AIS Technology ensures that all its clients are provided with an effective and well-engineered solution. AIS Technology is supported by a passionate team of engineers and technicians, fully trained in industrial electronic control systems. Today, AIS Technology is proud to have over 300 organisations and firms within its client base, coming from both public and private sectors. AIS Technology Limited is ISO 9001 certified. The engineering solutions offered by AIS Technology include: » Energy Management » Industrial Automation » Time & Attendance » Security » Coding Marking and Coding AIS Technology provides all encompassing solutions in industrial printing, marking and coding. AIS the only authorised distributor in Malta for Videojet, Willet, Unicorn, and Marsh industrial printers, providing Ink Jet Coding, Thermal Transfer and Large Character (Box Printing), together with Label printing and Label Applicators. A full range of Inks, Solvents, Ribbons and other printing consumables are available at competitive prices. AIS’s portfolio includes Toshiba Tec barcode, label and point of sale printers, and Javelin Card Printers, for card printing, providing a vast range of options for your business needs. Barcode Scanning requirements are addressed by DataLogic barcode scanners, the worldwide leaders in this field. DataLogic scanners are available surface mounted, handheld or even mobile, used as PDA’s. 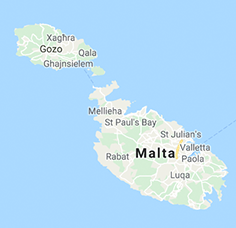 AGP Systems Limited are the official Markem-Imaje distributors for Malta. Markem-Imaje is one of the World’s leading companies in coding and printing solutions. Markem-Imaje offers the full range of printing technologies which include Co2 Laser Scribing, Continuous Ink-Jet printing, Thermal Transfer Online, Hot Wax Printing, Label Print and Apply systems etc. AGP. Systems Ltd also supply consumables and offer a full technical backup with trained service engineers. Aurex Trading Co. Ltd., the independent industrial product coding specialists, in various types of inkjet & other technologies, with almost 20 years experience operating in the local market. We supply equipment, consumables and backup services for:- Various Brands of Code Marking Machines / Imaging systems, Laser, Drop-On-Demand, Continuous-Ink-Jet Industrial Printers, Electronic sensing, Counting and Control Instruments, a wide range of bar code and text thermal transfer printers, labelers, Bar Code scanners and anicllairy equipment, Price marking equipment, and all POS related supplies, Magnetic and RFID Product Monitoring systems and related accessories, Queuing systems, Antishoplifting Devices, Tagging guns, Coin Sorters, UV and Secure Vision Bank note testers and bag sealers.